DJ GREENUTS BIO Hernan Castellano (Dj GreeNuts) has been djing since 1998. He has a long artistic and musical background, winning a scholarship to the Detroit Institute of Art in Michigan at the age of seven, and having his own art exhibition by the age thirteen. After discovering music he became a singer at the age of sixteen, and by the age of eighteen he had his own rock band with their first demo recorded at Moon Productions in California. In 1995 he started going to electronic rave parties, and by the age of twenty he had his own radio program at Cuesta College in California. He also was part of very successful pirate radio programs in the Central Coast of California. Since 1998 he has played hundreds of times in Festivals, Pubs, Bars, Clubs, and Concerts. Playing alone or with friends like The Shival Experience, Ziggy Marley, Astral Projection, Ovnimoon, Ital, Axia, Methedone Jones, 00-Metro, Criticnue, Rain Fur Rent, Metropolitan, J-Chill , and Armatronix. I have spun with djs Aleks, Dj BadBoy, Kevin Sweeney, Shiva Das, Kasso, Max, Rob Bliss, Zachary Stowasser, Dj Play, Psyfat, Natural, Baba D, Dj SuiSav, Dj Cielo. He has a huge range of sound, from Ambient to Dub, Reggae to Jazz, Funk to House, Breakbeat to Techno, Worldbeat to Psychedelic Rock, Jungle to Goa Trance. Overall he has a huge international following and he has a strong influence on the internet creating a network of djs & musicians, artists, blogs and groups. 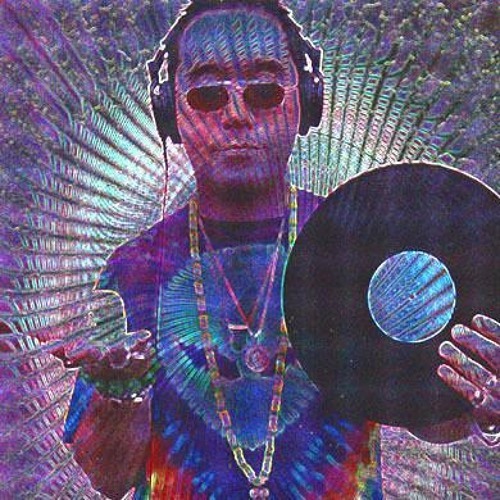 Creating musical awareness & spiritual awareness he is highly involved in politics, global dance movements, psychedelic counter culture, ufology, Buddhism, and the spirit world.